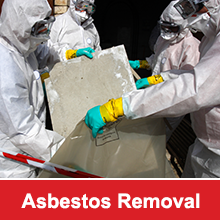 So you need to have asbestos removed from your company’s roof or have decided to invest in your current building and replace the roof that is currently there. Either way there are many things to take into consideration when preparing to install a new commercial roof for your business so that any downtime is minimised or avoided altogether. First look after you own interests and write up a business continuity plan. This will help you to avoid shutting or slowing down your operations as the construction of the roof gets under-way. Like all structural maintenance and repairs, it is essential to plan for business disruptions before they occur. It is also important to be prepared as best you can for any unexpected challenges before they happen. Make plans to notify your employees of the roof replacement at your earliest convenience. If it is possible for employees to work from home during this time they may like to do that. Put measures into place to ensure that they are able access to all the resources necessary for performing their daily tasks efficiently. You might also like to encourage your staff to take any annual leave they have accumulated during this time as well. That way they are not hindered by the replacement of the business roof if they are unable to work from home and will come back to a fully functioning work space. Once you have your business continuity plan in place, prepare the site for the arrival of the roofing construction team is extremely helpful. By taking the time and being prepared it allows for work to begin almost immediately. The faster the work starts, the faster its finished, thus reducing your company’s downtime. 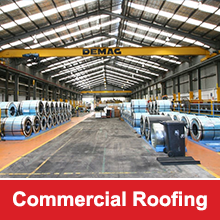 Provide access to driveways and other areas that the commercial roofing contractor will be using. Parking all personnel, client and commercial vehicles elsewhere during the construction period. Offsite if possible or in a space that will not be being used. Put up warning signs for people who will be using the building, both employees and visitors, alerting them to what is happening and the potential risks if any. Make sure to communicate frequently with the project manager of the roofing company as to what needs he might have and any issues that may arise. Move any products, furniture or obstacles away from walls or other high traffic areas. Don’t let small children and pets inside or near the work area at any time. Keep pools, ponds, or other water features covered. They could be affected by falling debris. Relocate all outdoor furniture and potted plants and make the project manager aware of any delicate flower beds. Speak with your security company as the buildings alarm might need to be disconnected due to vibrations causing it to go off. If you have a commercial property that contains a lot of products and goods it might be worth planning stock levels in such a way as they are at their lowest point during this period. If this is possible it will help free up room within the building and limit delivery vans and trucks being inconvenienced by delays getting in and out of the premises. If you follow this advice when preparing your business for a new commercial roof, downtime will be significantly reduced and your business will have minimal disruption. For more information speak with one of our friendly staff members by calling the number below or sending us a message via our contact page.